Kit Daniels of Infowars.com reports that the Social Security Administration is now hiring counterintelligence operators. The position, not to exceed two years in duration. 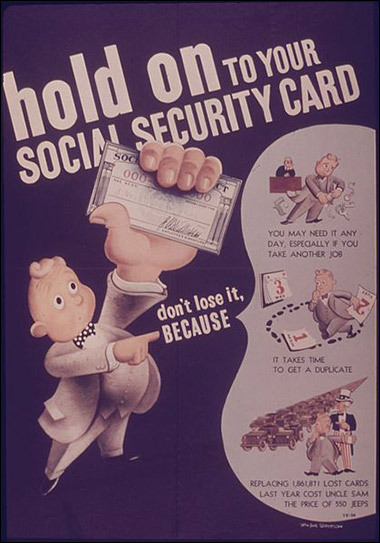 Could the SSA’s “defensive counterintelligence operations” mean efforts made by the agency to counter claims that Social Security is insolvent and millions of workers will never receive all the money they have paid into it over the years, asks Kit Daniels? Kit Daniels reports on this news story. A recent job posting on USA Jobs shows two vacancies for the Intelligence Operations Specialist position at the SSA’s headquarters in Woodlawn, Maryland. Some of the Intelligence Operations Specialist duties include working with members of law enforcement and “resolving counterintelligence” that presents a “credible threat” to the SSA. A “top secret-sensitive, compartmented information” security clearance is required for the role. It seems strange at first that the federal agency responsible for administering Social Security would have a job opening that sounds like a section out of a spy novel. Counterintelligence refers to the efforts made by intelligence organizations to keep rivals from gathering intelligence against them. The SSA, however, is not an intelligence organization, but rather is responsible for the largest “social welfare” program in the United States, which many consider to be worse than a Ponzi scheme. People retiring today are the first generation of workers who have paid more into Social Security than they will ever receive, according to an Associated Press article. This trend will continue as Social Security becomes untenable. Could the SSA’s “defensive counterintelligence operations” mean efforts made by the agency to counter claims that Social Security is insolvent and millions of workers will never receive all the money they have paid into it over the years? As we recently reported, the Department of Defense is trying to increase its public affairs efforts as it loses its ability to bury negative news due to the surge in popularity for alternative media outlets. “When bad things happen, the American people should hear it from us, not as a scoop on the Drudge Report,” George Little, assistant to the secretary of defense for public affairs said during a webcast. The coming collapse of Social Security is definitely a bad thing. The SSA could be monitoring “public sources of information” for “credible threats” that may undermine its ability to downplay the collapse which will drastically decrease the standard of living for millions of Americans. Like any other federal agency, the SSA wants strong “damage control” which would allow it to direct the narrative in its favor in order to escape accountability. For this endeavor, an Intelligence Operations Specialist may be tasked with preventing SSA whistleblowers (termed “insider threats”) from exposing the agency’s lies to the public, as Edward Snowden did to the NSA. Additionally, similar positions at other federal agencies may indicate some of the specifics involved in “information sharing missions which support homeland security,” as listed in the SSA’s job posting. In an April 2009 speech on fusion centers given before the Committee of Homeland Security, Robert Riegle, a former director for the Department of Homeland Security, mentioned deploying 34 Intelligence Operations Specialists to serve as a “critical link” between the fusion centers and DHS. It isn’t a stretch to assume that that a SSA Intelligence Operations Specialist would also perform a similar function. Earlier this month, we reported (via Rare) on the Federal Data Services Hub. Developed for Obamacare by the Department of Health and Human Services, this data hub provides “electronic, near real-time access to federal data, as well as provide access to state and third party data sources,” according to the U.S. Government Accountability Office. In short, the Federal Data Services Hub is a comprehensive database containing personal data on every American which is compiled and then shared between multiple federal agencies such as the DHS, TSA, IRS, FBI and so forth. The SSA could use Intelligence Operations Specialists to compile Americans’ private data that the agency holds into the data hub for use by other federal entities. Make no mistake, the increasing size of government strengthens the bonds between agencies across the entire federal level. Similar to how the supranational European Union purged the national sovereignty of its member states, interdepartmental sharing of resources and data will cause the stark differences between federal entities to vanish. Download a copy of this report by first moving your mouse over this link. The depress the lever on the mouse that starts the transfer. Snowden’s Father Calls Out Obama On Nuremberg Crimes New! Harvard creates brain-to-brain interface, allows humans to control other animals with thoughts alone New! Purge Grand Prize Winner of Operation Paul Revere.